Pretoria-based Hoërskool Waterkloof learner Christiaan Bauman won the fourth prize in the engineering category at the 2019 Taiwan International Science Fair, which was held from January 26 to February 1. Bauman’s project, titled ‘Mine Safety – The Robotic Way’, addresses the problem of miners and civilians being threatened or lost in subterrains, such as caves. The robot, which he built and programmed, can be sent into these subterranean spaces where it has the ability to detect life forms, map the space and provide rescuers with other critical data. 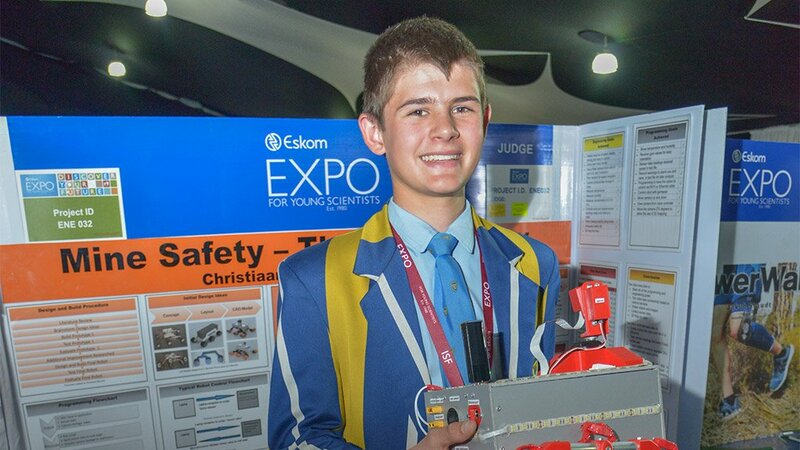 Bauman initially showcased his science project at the Eskom Expo for Young Scientists International Science Fair, held in South Africa, in October 2018, and won his place to represent South Africa at the Taiwan fair after being nominated by a panel of academics and professionals. “I would like to continue working on my project in the future because I have a lot of new ideas that I would like to pursue,” he commented, adding that science is a universal language and that “it teaches you to think creatively and outside of the box”. Bauman was joined on the tour by Michael Dennis, from Potchefstroom Gymnasium. Dennis investigated water pollution and developed a management tool for modelling water pollution levels. He intends to further his project and add some of the recommendations that he received at the Taiwan fair. Dennis also encouraged other promising young scientists to get involved in the Eskom Expo. “We are really proud of young [Bauman], who has competed with some of the brightest learners in the world and walked away with yet another accolade. [Bauman] is one of many thousands of learners across the country to benefit from the Eskom Expo for young scientists, which creates a platform to grow future scientists and engineers for the country,” Eskom Expo executive director Parthy Chetty commented.